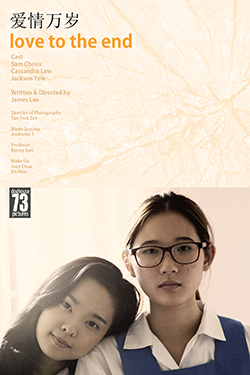 The story follows two high school girlfriends, Sam and Cassie, near the end of term. Cassie admires schoolmate John, and the girls’ relationship takes an unexpected turn. Born in 1973 in Ipoh, Malaysia. Award-winning independent filmmaker and pioneer of the digital filmmaking scene in Malaysia. His works has won numerous awards internationally. 2012 If It’s Not Now, Then When? 2010 Help! My Girlfriend is a Vampire!